When celebrities divorce, we often hear about “irreconcilable differences.” That’s a formal legal term that basically means two married people simply can’t get along anymore — at least not as husband and wife. Why do divorcing couples feel the need to let everyone know about their irreconcilable differences? Actually, the term exists (in part) as a way to avoid delving into a lot of messy details. Most states, including Massachusetts, require divorcing couples to formally state the “grounds” (that is, the reason) for their divorce. It used to be that one spouse had to allege that the other was at fault for ending the marriage. But as society advanced, the law came to recognize that sometimes no one is truly at fault. People simply grow apart. That’s how the “irreconcilable differences” grounds came to exist. It tells the court that the couples are divorcing even though no one is at fault — and that’s all they need to know for now. Here in Massachusetts, our version of “irreconcilable differences” is called irretrievable breakdown. Essentially, it means the same thing. It’s a way for a marriage to end without public accusations of fault. Irretrievable breakdown is, by far, the most commonly cited grounds for divorce in Massachusetts. It’s generally an easier and friendlier way to approach divorce in our state. It certainly isn’t the only way, though. There’s actually a lot to know about divorce in Massachusetts, and we explain some of the basics on irretrievable breakdown below. Do You Have to Prove Irretrievable Breakdown? No. One of the advantages of an irretrievable breakdown filing is that you generally don’t have to prove to anyone that your breakdown is truly irretrievable. There will still be a formal legal proceeding, but the burden of proof is much lower than in cases involving an allegation of fault. That’s why even couples that could make an at-fault filing often choose this simpler, no-fault filing instead. The spouses can jointly file for divorce. This is known as a 1A Divorce, and it only applies if both parties want the divorce and can agree to its terms. A Boston divorce attorney can help you negotiate the terms of a separation agreement prior to filing so that the process is as smooth and effective as possible. If both parties can’t agree on the terms of divorce, or if one spouse doesn’t want a divorce at all, then the other can unilaterally file a complaint of irretrievable breakdown with the court. 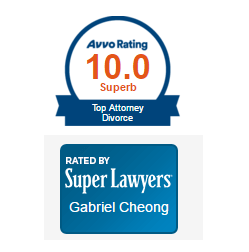 Here again, a divorce attorney can help. Is No-Fault Divorce Right for You? Let us help you decide on the right approach. At Infinity Law Group, we have years of experience in helping families like yours navigate the very difficult road to divorce. We understand that “irretrievable breakdown” doesn’t necessarily mean “easy”. We’re always available with a shoulder for support. It’s our mission to help you make all of the right decisions at each step along the way. Call our office to get started with an experienced Boston divorce attorney today. Find out what we can do for you. ← Grounds for Divorce in Massachusetts: Fault or No Fault?